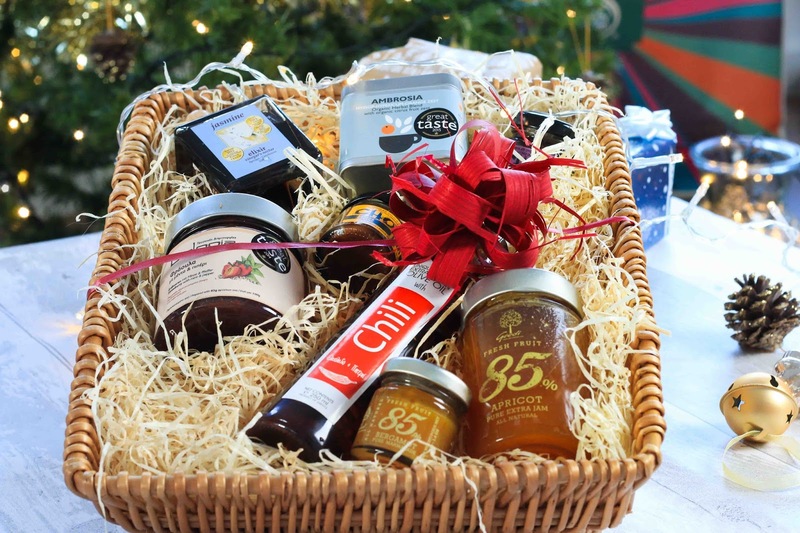 I think gift hampers are an awesome present to give or receive at Christmas, especially the ones of the foodie variety. 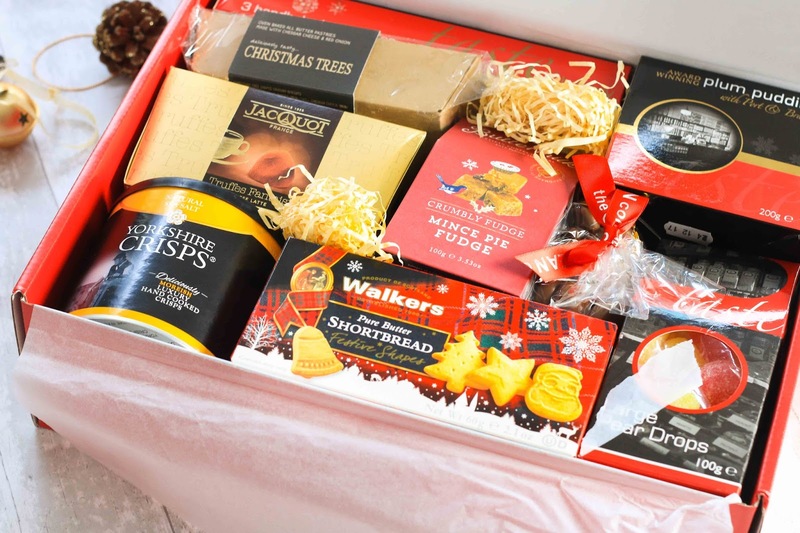 I think this gift hamper is amazing and it’s going to be a real struggle to not keep it for myself… It’s jam packed full of amazing treats some of which include Taste Christmas Mince Pies, Award Winning Plum Pudding With Port & Brandy, Buttermilk Mince Pie Fudge, Jacquot Fantaisie Caffé Latte Truffles, Short bread, Crisps and more! It comes beautifully packaged in a red box and the contents are covered in delicate tissue paper. I honestly think that anyone would be absolutely delighted to receive this as a gift! Buy it here. This gift hamper was custom created for me by the lovely people behind the new Greek restaurant and deli shop in Leeds. 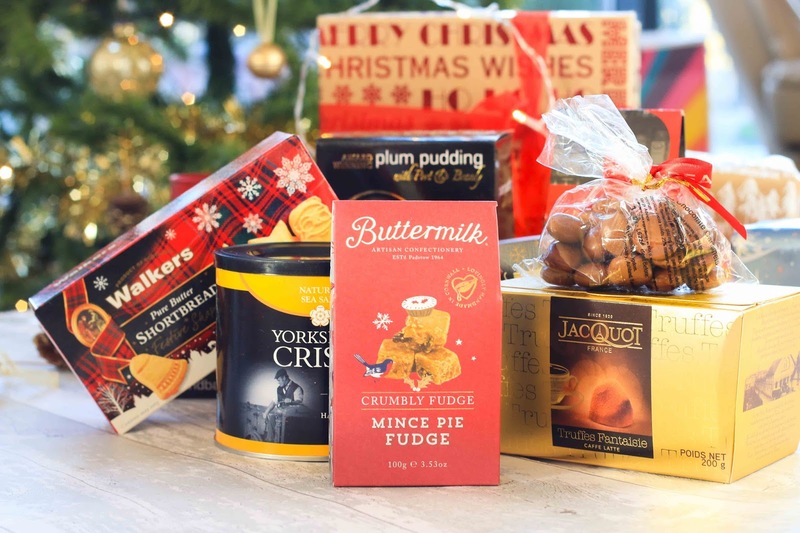 There is a variety of amazing foodie hampers to choose from online which are already pre made or you can get in touch with them and order a custom made hamper filled with goodies from the deli shop. All of the products sold in the shop are handmade and produced by small, independent producers in Greece. Each producer comes from a different area of Greece so they all follow traditional recipes of their area. The hamper pictures in my photo includes the following: - 85% Apricot Jam, Chilli olive oil, Ambrosia herbal tea (Great Taste Award 2015) with hyssop, hypericum, orange zest, Stawberry, mint & pepper jam (Great Taste Award 2015), Jamsine Elixir Vinegar (European Artisan Award) and two miniature choco jams - a chocolate spread with banana and one with mortello and cherries. The cost of my hamper would have been £30 or £33 with delivery. I honestly can’t recommend this deli enough, it’s like a foodies dream come true! You can order everything online or if you live in Leeds you can pop into the restaurant/deli and pick it up in person. I visited Amalthea to go pick up my hamper and to sample the food menu (review coming soon) and I was very impressed with how knowledgeable the staff were. 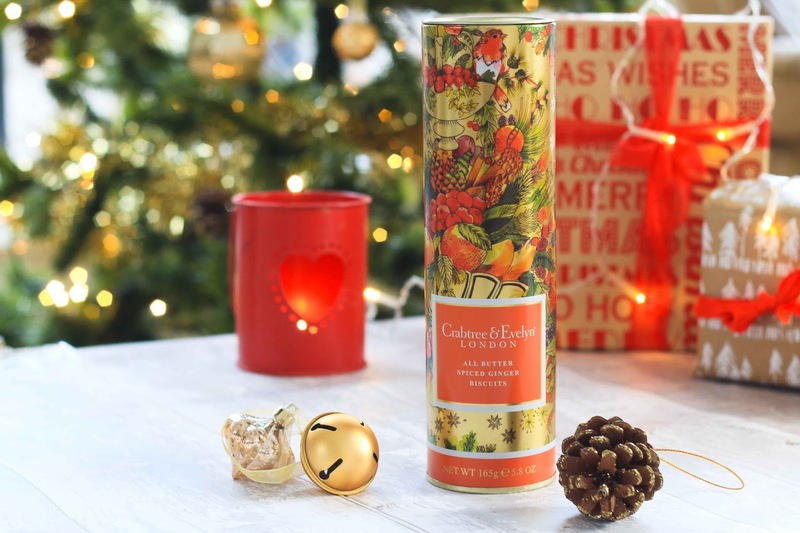 Buttery biscuits are pretty much a Christmas essential and these biscuits come in the most beautiful tin! Crabtree and Evelyn really do have the most beautifully packaged Christmas collection this year. They would make a great little stocking filler or a beautiful addition to a DIY foodie hamper. If you are a returning reader to sunnydei then you will know that I Love tea. In fact I would say tea is one of my favourite things in life ever (along with food, travelling and cats). Because of this I absolutely love giving and receiving tea and tea related goodies as gifts. I can’t help but want to introduce people I know into the realms of tea and its delicious flavour possibilities. 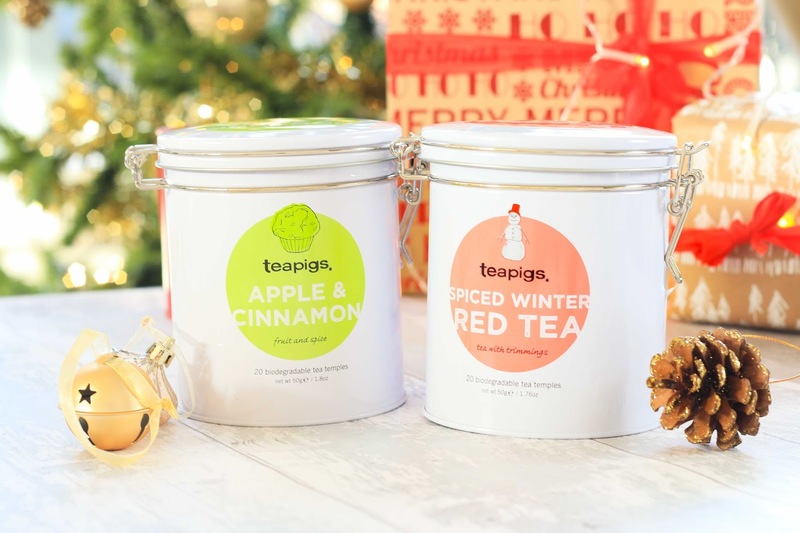 Teapigs is one of my most beloved tea brands because of their very high quality unique teas and beautiful packaging. Spiced Winter Red Tea is one of my favourite go to hot drinks in the winter season. A blend of tea, spice and everything nice or to be more accurate: orange peel, cinnamon and cloves on a redbush tea base. Apple and cinnamon is one of the best flavours ever, it reminds me of my mums apple cake and it’s a truly delicious and unique blend of tea. Ginger tea is perfect warming tea in the winter season because it’s known to help digestion and most of us are guilty of ever eating over the festive period. It’s delicious served with a slice of lemon and some honey. Buy Here. Chai tea tea is a black tea seasoned with cardamom pods, ginger, vanilla and cinnamon. It’s the perfect winter tea and absolutely delicious with some milk. Perfect teas also call for a perfect tea pot and cup! I love this simple and minimalist teapigs teapot, which comes with a removable tea infuser. 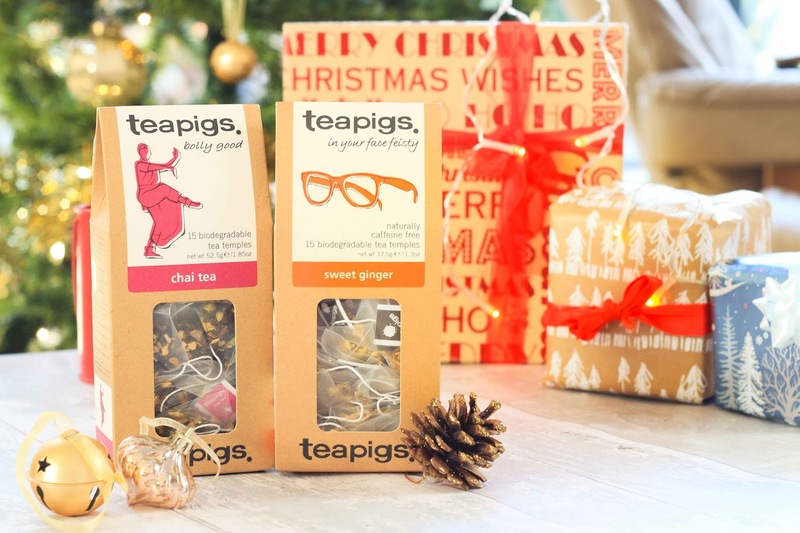 Its’ suitable for loose leaf tea and the tea temples (teapigs version of tea bags). The simplistic design would make a gorgeous addition to pretty much any kitchen. £21 buy here. 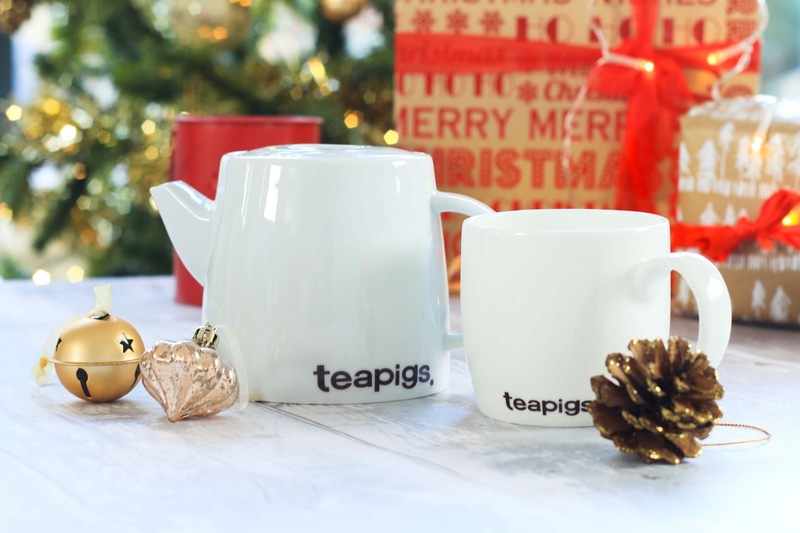 The white teapigs cup goes beautifully with the teapot. It’s the perfect shape and size to enjoy all the delicious teas in. £7.50 Buy here. 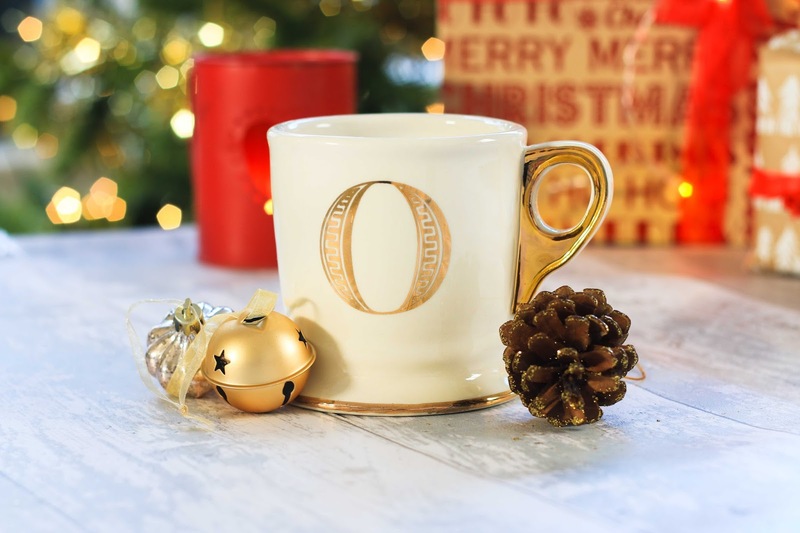 I absolutely love this mug from Anthropologie, the gold detail makes it extra festive and special. I think this mug is perfect for guys and gals because of its chunky shape. Buy here. Jord Wood Watch £150 Buy here. A hand crafted elegant wood watch which promises to be a Christmas show stopper! 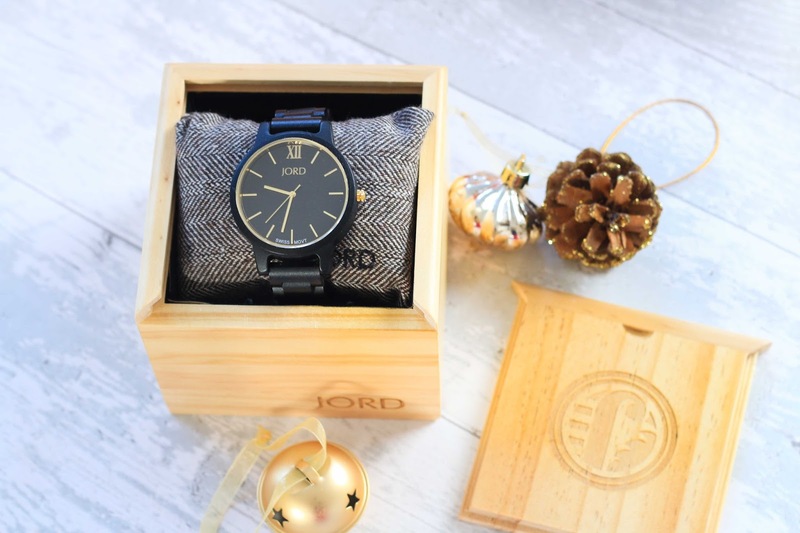 Jord watches are hand crafted from natural, sustainable wood and treated with oils rather than harsh chemicals. There’s lots of styles to choose from but I love this classic and minimalist looking Frankie watch! The Frankie design is unisex and comes in a range of different colours. I actually own one myself in a different shade which you can see here. I absolutely love candles and think that scented candles can really add to the festive atmosphere and make the house feel much more homely. This candle smells very sweet and moreish. The scent is pumpkin and spiced apple but I think it almost smells a little bit of melon too. It's a gorgeous scent and I love the packaging too. Buy it here. This candle smells of cinnamon and ginger and I absolutely love it. It's a very sweet and warming scent that really makes me think of Christmas. Buy it here. All of the Tangy Melon candles are 100% soy wax and they are made using essential oils only, which means they are all vegan too. The scent of these candles is nice and strong because they are mixed with 12% essential oils. Both my mum and the boy absolutely love Yankee candles. I gave the boy one of their Christmas scented candles as a Christmas present three years ago and we're actually still finishing it off. Even after being burned for third year running the candle still fills the whole room with a sweet cinnamon smell after a few minutes. 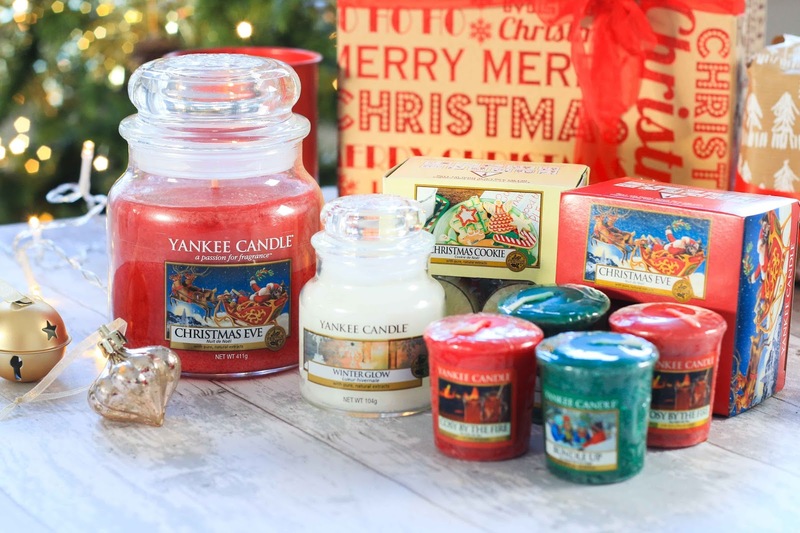 A Yankee gift set is a wonderful present for any candle lover and makes a lovely joint present for couples or parents. 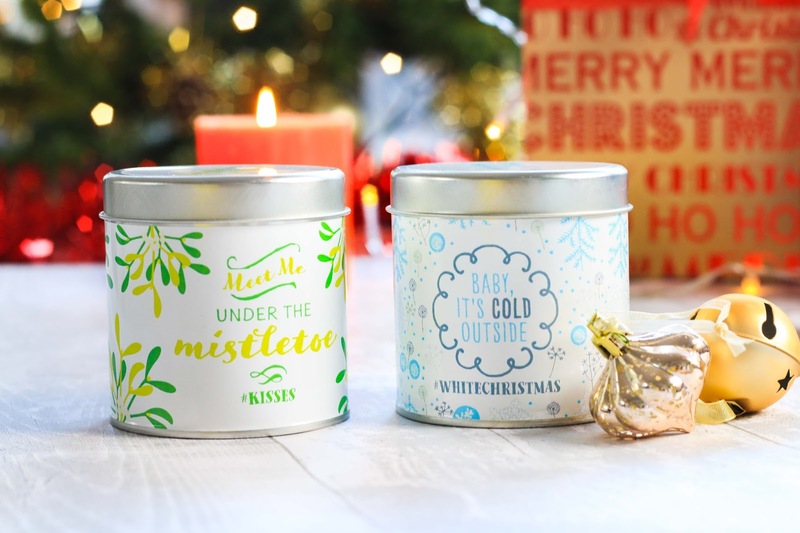 I can't find this particular set online as I bought it in store but there's plenty to choose from on the Yankee candle website here. I'm not very crafty but I'm very proud of this Christmas present idea! I bought a load of mason jars from Wilkos and filled with layers of different chocolates and topped it off with some marshmallows. 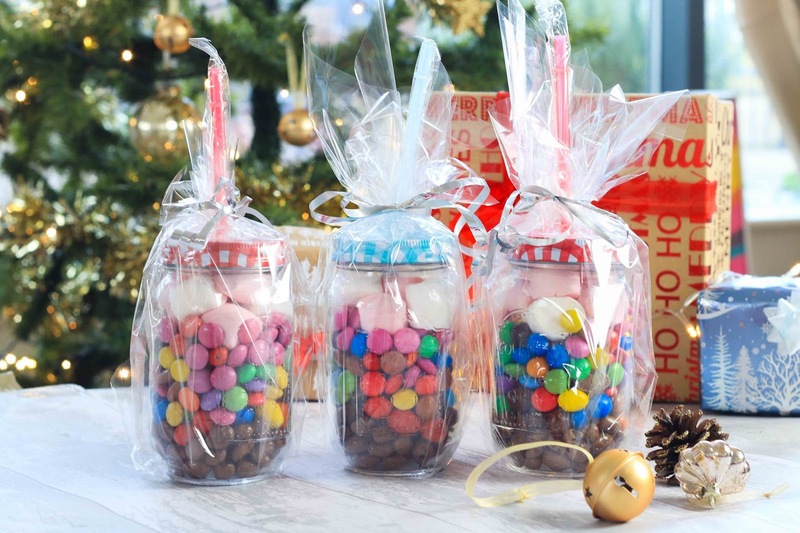 The people who receive it will get to eat delicious chocolate treats on Christmas day and be left with a cute glass afterwards. I think each jar ended up costing around £4.50 each. I love spending time with my family, drinking mulled wine and eating copious amounts of cheese and chocolate. I also love seeing my loved ones open up my gifts and I really hope they like them this year! I also hope you found this gift guide useful and hopefully gained some inspiration!